Experience the most accurate high-speed steering system in the industry within the 2019 model year Apache Sprayers. The RS1 by Raven Applied Technologies combines autosteer, GPS and In-Cab Remote Support into one intuitive, easy-to-use unit. 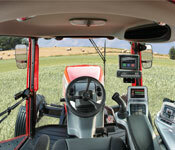 Cover more acres in a day with the incredible accuracy and fast line acquire of the RS1. Whether you prefer to operate at fast or slow speeds, this precision technology uses WAAS gps and a rotary positioned autosteer node to keep accuracy in check and makes fine-tuning parameters simple. 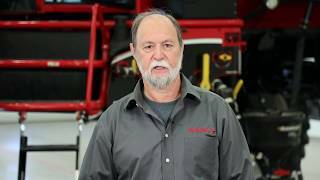 When you need support from an Apache Sprayer, you can depend on the Raven precision package to connect you quickly to the experts. The RS1 rotary-positioned sensor boosts autosteer capabilities and accuracy by providing realtime positioning information for quicker line acquisition. The antenna within the system connects seamlessly with the Raven Viper® 4+ field computer. When operators need technical assistance, these two devices work in tangent to activate the In-Cab Remote support feature which allows Apache Sprayer specialists to securely connect to your sprayer within minutes. All three tools combined, give the 2019 model year Apache Sprayer owners the power to be more accurate, solve problems faster and cover more acres in a day.